Taking over the family business when she was just 15 years old after her father died, Bulalong, of Sigaboy, Gov. Generoso, Davao Oriental, did not have it easy. But through hard work and determination, she was able to successfully manage the fish vending business that her father left behind, allowing her to take care of all the needs of her mother and send four of her eight siblings to school. Her daily grind is no easy feat. She wakes up at 3 AM, heads off to Tibanban to get the fish that she will be selling, then to the Shell gas station at Lapu-Lapu to fuel up their two service vehicles and then proceeds to deliver these to fish sellers at the public market in Tagum, Davao del Norte. Her day ends at 5 PM. One fine afternoon last April 13, Bulalong’s daily routine had a happy twist. 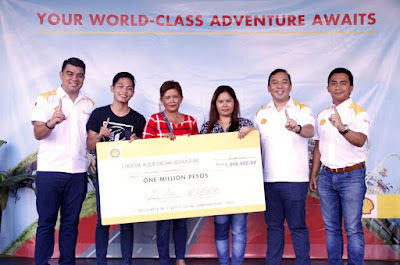 She was informed that she was the lone winner of a P 1 million cash prize, tax-free, from Pilipinas Shell as their way of thanking their loyal customers. Bulalong revealed that Shell has been practically a “partner” in their business because they’ve been fueling up exclusively at Shell for the last 45 years. 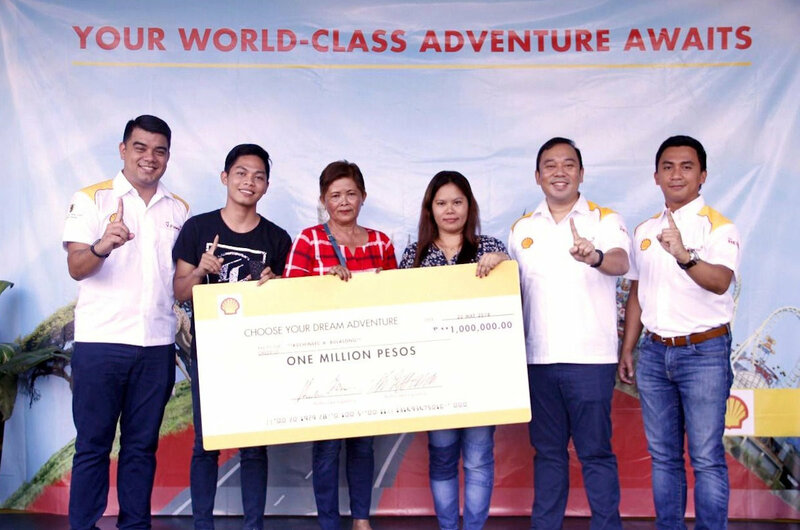 Bulalong recalled that since January, she has been given raffle coupons at the Shell gas station and despite the other exciting prizes to choose from, she has already set her eyes on winning the P 1 million. With her winnings, Bulalong plans to buy a coconut farm land. It has always been staged here in our country. Winners of this "fake raffles" has always been entrepreneurs or successful businessmen. There was never a winner that belonged to the ordinary mass or it was never an ordinary salaryman.